active since December, 25, 2008. 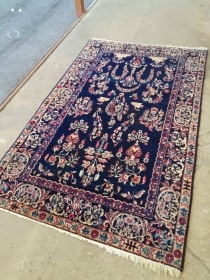 An antique 1900 Kerman rug with rare darblue organic dyes. Parts tinted. Good shape with signs of use. 220/130 cm. 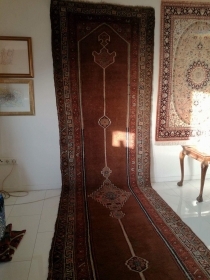 An old Tekke with 170/115 cm in very good shape with high pile. 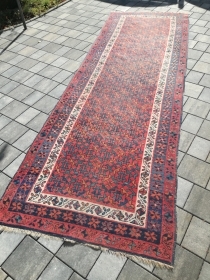 An antique Jomud rug with 290/194 cm. Good shape with even low pile. 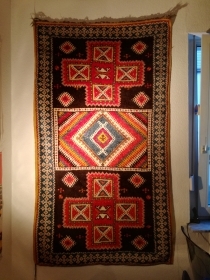 Original kilim endings both sides. 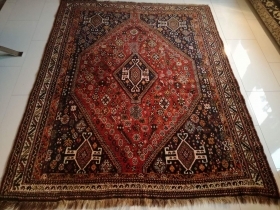 An antique original Ferahan rug with 180/120 cm. Low pile and signs of wear. 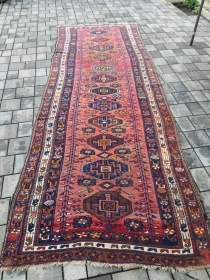 An antique Kelardasht with 400/140 cm. Signs of use. 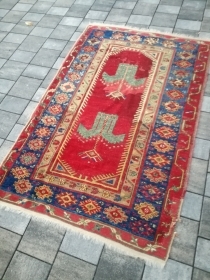 An old Tibetan rug with 180/123 cm. Very good shape. 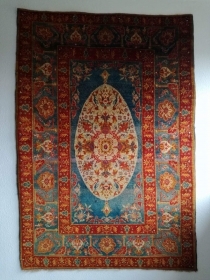 Old fine Isfahan Ahamad Zojaji signed. In as found condition, full pile with one small moth demage at the description. 163/110 cm. 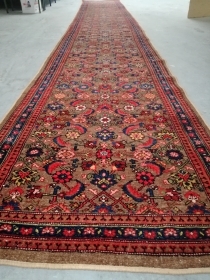 An antique Beshir runner with 332/113 cm. In as found condition. 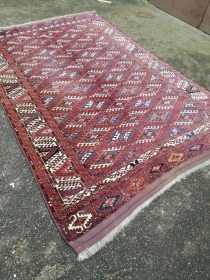 An antique Sumak rug with 210/110 cm in very good shape. 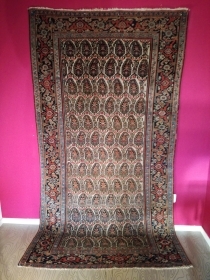 An old Morocco rug with 205/115 cm. Funky. Good shape. i love it. 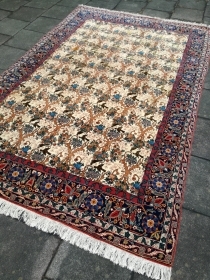 An antique extrem fine Tekke carpet with 280/270 cm. Demages, but complete. 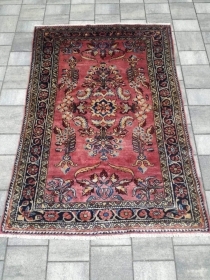 An old fine Kashan rug with 200/130 cm. Even good pile. Natural dyes. 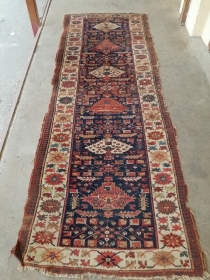 An antique Anatolian rug with 170/110 cm. Repiles and demages. Rare design. 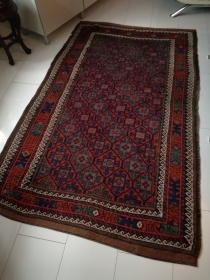 An old Dabir Kashan. Even good pile, no worn areas. Only use at the fring sides. 207/130 cm. Browns part corroded. 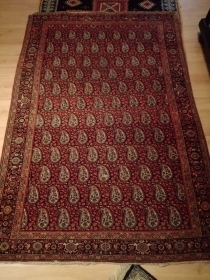 An old Esfahan Bakhtiar with 212/137 cm. Good shape with smallest point use. Wonderful natural colors. 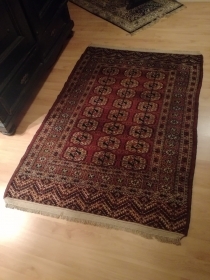 An antique Kurdish rug in as found condition. 310/110 cm. 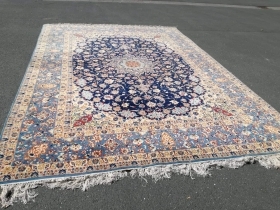 An antique Tabriz or nw Persian carpet with 397/296 cm. As found condition with moth demages and open side. 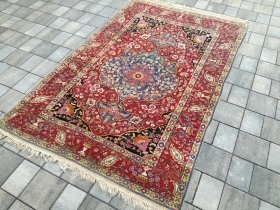 An old Iran Lilihan rug in perfect condition. 160/100 cm. 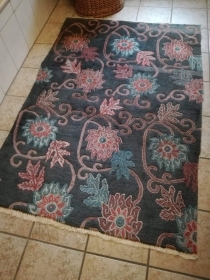 Very fine weaving. 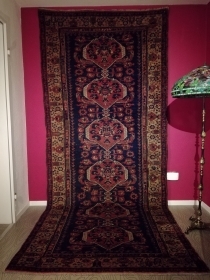 Old Iran Lilihan with 190/150 cm. Good shape for its age. 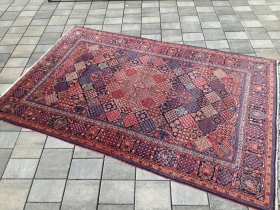 An old Gashgai rug in good shape. 240/150 cm. 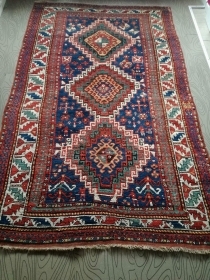 An antique Kasak with 150/77 cm. Good shape with smallest demages. 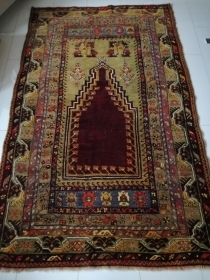 An antique Sumakh Panel in very good shape. 100/60 cm. 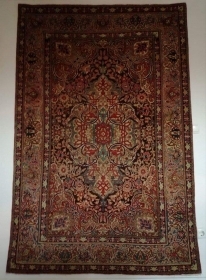 An old Karabagh rug with 200/135 cm. Good shape with little signs of use. 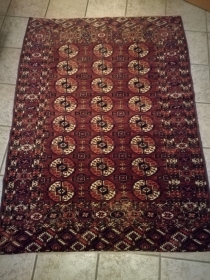 An antique Tekke rug, 160/120 cm. Used and signs of wear. Fine with good wool. 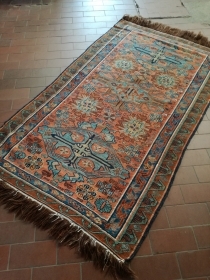 Old Kazak or Karabagh rug with 243/134 cm. 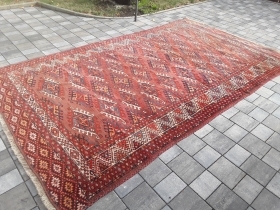 Perfect condition with full pile. 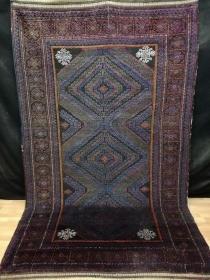 An antique village rug, probably nw Persia or Kurdish Bijar on wool. 190/117 cm. 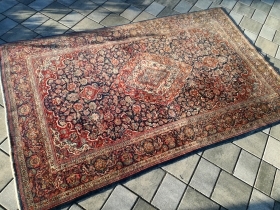 Perfect condition, original endings allover, high pile. 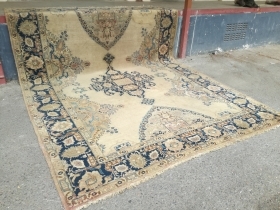 19th century Tekke carpet, 270/220 cm. Dirty, with demages. 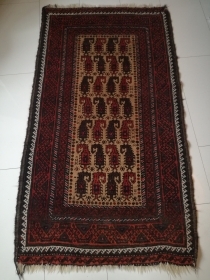 Very fine weaving. 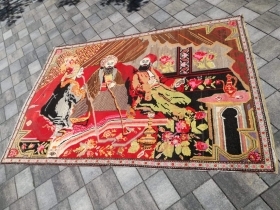 Antique Turkmen rug, Saryk ensi, with 190/150 cm. Demages. 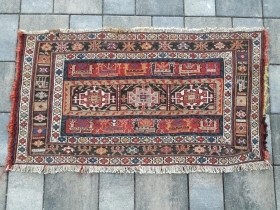 An antique Kazak rug. All natural dyes. 220/134 cm. Signs of use but good shape. All endings original. No repairs. 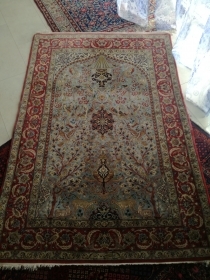 Rare fine Qum with silk 280/183 cm. First Generation of fine Ghom. Good shape with little ware only in silk parts. 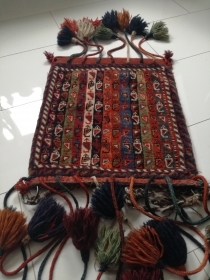 Antique Qashqai bag in perfect condition. 53/45 cm. 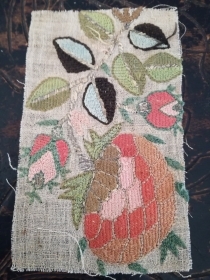 a planty of small embroiderys. Wool silk metal on cotton. 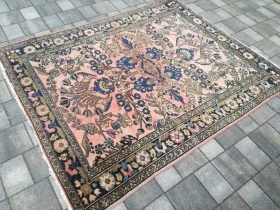 Probably Europe Vienna Ottoman. From collector Gillis Görz. 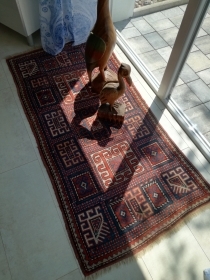 An antique Greek Island Embroidery in very good shape. 85/85 cm. 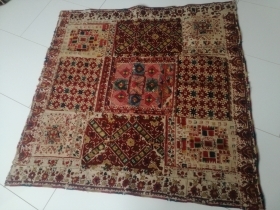 Very fine weaving, very old. 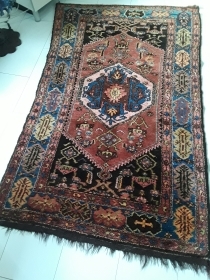 Antik Mishan Malayer 250/134 cm. Good shape with little demages. 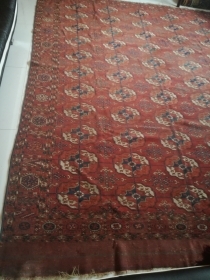 Antique Baluch rug with demagws but good shape. 288/175 cm. 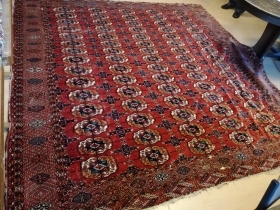 An antique Baluch with 218/135 cm. Good shape with few demages. 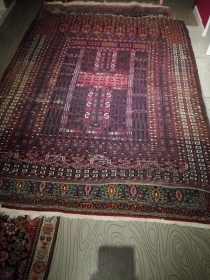 Old Baluch rug with 160/90 cm in good shape. 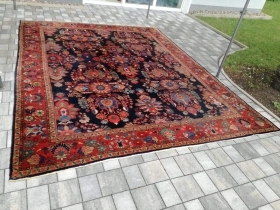 An old Qashqai rug with 200/154 cm in perfect original condition. 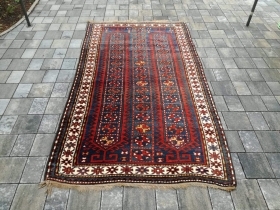 An antique anatolian Oushak rug, 183/130 cm. Good shape. 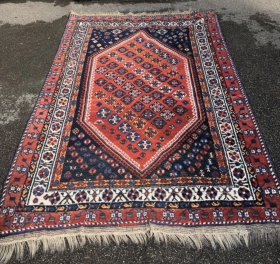 Soft handling, great colors, fine weaving.